The fabulous DiMartino sisters of Massapequa Park—Christina, Gina, Vicki and Rosie—juggle their schedules as deftly as they do soccer balls. As a group, they’ve played the sport in Spain, Russia, China, Brazil, New Zealand, Trinidad and Tobago, Cyprus, England and more. 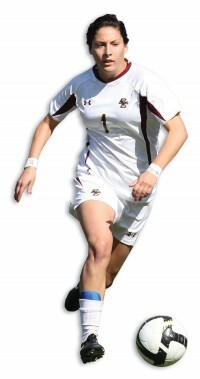 Next month, Vicki DiMartino, a sophomore-to-be at Boston College, will add to the family’s travel map when she suits up for the United States in the FIFA U-20 Women’s World Cup, to be held throughout Germany. Long ago, soccer became their world and it’s taken them all over the world ever since. 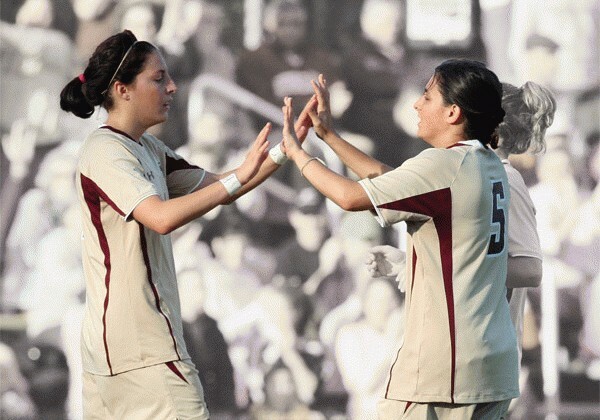 Not only have the two eldest DiMartinos, Christina and Gina, represented the US at the U-20s in the past but they also play professionally—Christina, a UCLA graduate, plays for Saint Louis Athletica, and Gina, who completes her degree from BC this winter, for the Philadelphia Independence. Vicki isn’t far behind. Last fall, she was named national Freshman of the Year by Soccer America and, with sister Gina alongside, helped the Eagles reach the NCAA Elite Eight for the first time in school history. On the international stage, Vicki earned the Silver Boot in the inaugural U-17 World Cup last year, scoring the second-most goals as the US finished second behind North Korea. With a void on defense, she’ll play left fullback for the Americans next month. The team trained in San Diego and Carson in May, requiring DiMartino to complete her finals early, and this month they trained for a week in Germany. They’ll make a return trip for the Cup, which begins July 13. One would think their mother, Patty, would be the ultimate soccer mom, but she attests that she’s spent more time keeping their schedules organized than roaming the sidelines. Dan DiMartino credits his wife for being the glue to their kids’ dreams, including Rosie, who played attack and midfield during her freshman year at Massapequa Park and has logged time for the U-15 National Team. The DiMartinos have followed the bouncing ball wherever their college or country has asked them to, all before any has reached their mid-20s. Still, their incredible journey has only just begun. The ultimate goal is to play for the senior US Women’s National Team, which is already preparing for the 2011 World Cup in Germany. Christina has recorded five caps for the senior team but never in a Cup. With the U-20s soon under her belt, Vicki hopes one day to have some familiar teammates on the world’s biggest stage.